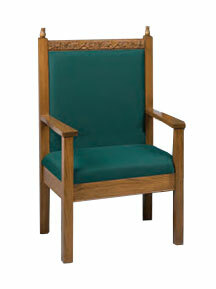 ChurchPlaza provides handcrafted pulpit chairs in a variety of styles. 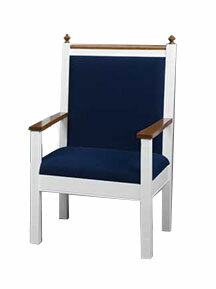 Also available in complete sets with pulpit, lectern, and more. 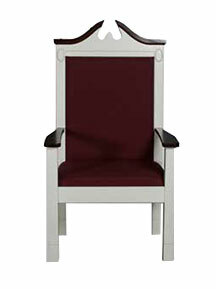 Pulpit chairs provide a place for clergy to sit as they preside over the service. Choose from different upholstery fabrics and light, medium, or dark wood stains to create a custom look for your sanctuary. 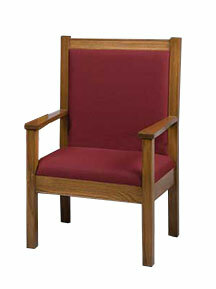 Available in 44” or 48” height, with 27” width x 21” depth seat. See our pulpit groupings to purchase a matching set with communion table, pulpit, and more.